Amazon last week surprised everyone with the Echo, a 9-inch cylinder that’s more or less a voice-activated speaker. Wherever you are in the room, you can ask Amazon Echo to play music, answer questions, check the weather, set alarms, and even manage your various to-do and grocery lists. It’s like Siri, at least in terms of functionality. Except this stays plugged in, it’s always on, and it doesn’t need you to press a button to activate it or ask it a question. 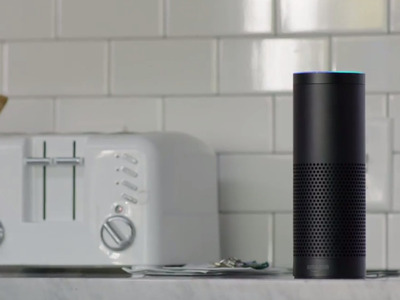 Knowing how the tech world works, we’ll likely see Amazon Echo clones in the near future. But the one company that should be keen to jump on this trend quickly is Microsoft. 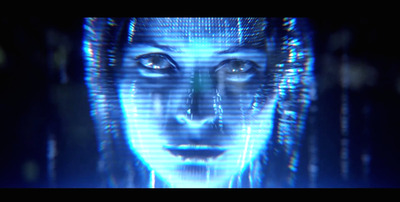 There are plenty of voice assistants out there, but Cortana had a reputation long before Microsoft decided to relegate her to Windows Phones. In the bestselling “Halo” series, Cortana is the holographic, anthropomorphic artificial intelligence hologram who helps guide you through the games. In “Halo,” when she’s not inside Master Chief’s helmet, Cortana appears on small physical platforms; she doesn’t walk around, but she is still pretty animated. It would be great to see Microsoft take this idea of Cortana to the next level by putting holograms in people’s homes. Holograms are already out there — and they’re usually much bigger than a “Cortana for the home” would be. Some airports have AVA, the holographic virtual assistant who helps direct people to various terminals and destinations within the airport. And at the Coachella music festival in 2012, a moving hologram of late rapper Tupac Shakur appeared on stage. Like Amazon Echo, Cortana could be remain in sleep mode until you need her — you could call her by name, and she’d instantly wake up. And unlike Amazon Echo, where you’d need to see if the LED light on the top of the cylinder is lit, it would be obvious if Cortana were awake since there’d be a small standing hologram in your living room. 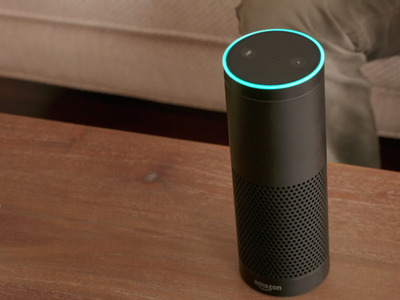 The Amazon Echo is a cool idea, but it’s also very simple. By adding holograms (see: a cool new technology associated with science fiction) and a character millions of people are already familiar with through “Halo,” Microsoft could have a direct line into people’s homes, and into their lives.